Leigh Ann attended Ohio University where she obtained her Bachelor’s of Science in Physical Therapy in 1993. Leigh Ann is licensed to practice as a phyiscal therapist in Ohio, South Carolina and North Carolina and has 23 years of experience; primarily in the post-acute continuum. Leigh Ann started her career in Physical Therapy splitting her time between acute care and skilled nursing faciliites. She quickly realized she enjoyed teaching and training, and was given an opporutnity to provide internal educational sessions to the clinicians in her company on various clinical and regulatory topics. Leigh Ann then moved into a consulting role, assisting skilled nursing facilities and their rehabilitation departments with quality, compliance and clinical effecacy through audits, education, site visits and mock surveys. Leigh Ann then became a Regional Director of Operations, again focusing on how to clinically achieve the operational outcomes necessary to have an effective rehab department; always focused on quality care and resident advocacy. For the past 15 years Leigh Ann has been responsible for the clinical integrity of a large rehabiliation partner and spent the last 2 years as the Chief Clinical Officer before she started her own consulting company; Care Navigation Consulting in November 2016. She completed her MBA from Clemson University in 2011; allowing her to better understand the business intricacies that have allowed her to be both a clinical and operational leader. 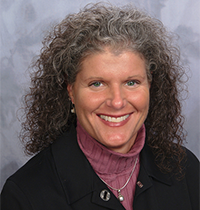 Leigh Ann has been a member of the American Physical Therapy Association since 1993 and has been actively involved and a board member of NASL (National Association for the Support of Long Term Care). She has spoken at both the state and national level, including VHCA, OHCA and Leading Age National to name a few. Leigh Ann is a proven subject matter expert as it pertains to the delivery of quality rehab services compliant with regulatory iniiatives in the post-acute continuum; this qualifies her to present the material outlined above in the objectives.